Shannon View, Kielty, Athlone, Co. Roscommon. 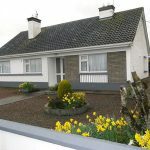 This lovely 3 bedroom detached bungalow is located on the main Athlone to Ballinasloe Road, ‘c’ 10 minutes drive from Athlone town. Accommodation comprises: Entrance Hall, Sitting Room, Kitchen, Dining Room, 3 Bedrooms & Bathroom. Standing on a large, easily maintained site which is outlined with mature trees. The home also contains a detached garage. 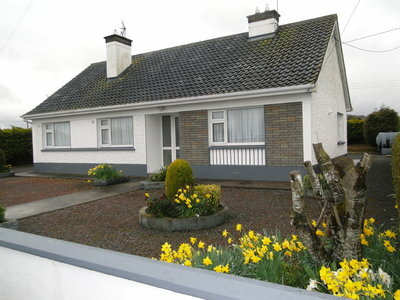 Previous Listing4 Clonbrock Court, Retreat, Athlone.Next Listing35 Marine View, Athlone.